In his waning career as a boxer Rocky Balboa does what no man ever thought he would do in a boxing ring. 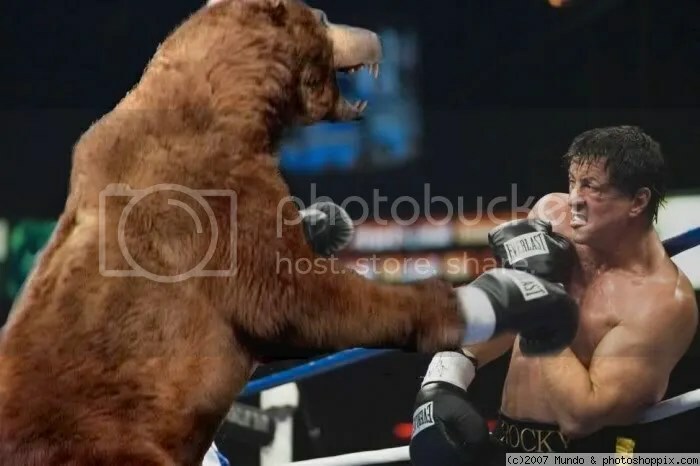 Fight a bear! Based on the picture above give us a caption to rock the laughter out of us!